Musha shugyo is a form of pilgrimage undertaken by samurai warriors in order to further their skills and knowledge. While on a musha shugyo, warriors like Bokuden would learn from any masters they knew of in a given area, fight any warriors that were considered to be amongst the best in the land and sometimes partake in mercenary work or body-guarding. When ready for retirement, Bokuden needed to decided who his successor would be to teach at his school so he set a test for his three sons. He balanced a block of wood over his door so it would fall on anyone entering; he then proceeded to call his sons in one by one to see how they would react. One son, on entering drew his sword and cut the block in half. Another half drew then realised it was not real danger, so evaded the wooden block. The son who was chosen however had sensed something was amiss when approaching the door, so opened it with caution and simply caught the block. Bokuden chose this son as he had shown his ability to defuse a situation without using combat techniques. In most countries and cultures around the world, sword smiths have faced the same problem. They could either make their swords sharp but they would be too brittle and liable to break in battle, or they could make them more durable but blunt. 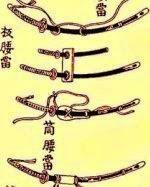 To overcome this, Japanese sword smiths covered the top part of the blade with clay, allowing the sharp edge to cool quicker making the samurai sword both sharp, tough and pliable. "Mental bearing (calmness), not skill, is the sign of a matured samurai. A Samurai therefore should neither be pompous nor arrogant". 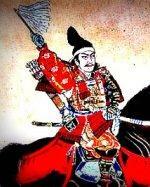 Tsukahara Bokuden (1490 – 1571) was the most deadly Japanese samurai of his day who earned his reputation by fighting and beating the best martial arts experts the country had to offer. He was the ideal warrior who never lost a fight, whether in battle for his Daimyo (warlord) or an individual duel; he was loyal, noble and always ready to die if necessary. 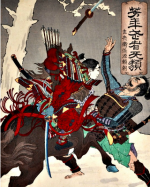 However what was unusual about Bokuden was that in later life he developed the philosophy that there was more merit in avoiding conflict than there was in fighting and killing an opponent. While this is generally accepted within martial arts philosophy today, during Bokuden’s day, it was all but unheard of. Bokuden was born at the end of the fifteenth century during what became known as the Sengoku Jidai Period (The Age of the Country at War). 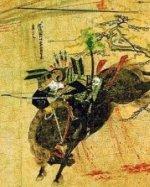 Even though he was the son of a Shinto priest, he was able to join the ranks of the samurai warriors as the turbulent times meant that those born from outside the social class could now rise up the military ranks it if they showed exceptional fighting skills. From his childhood, Bokuden spent much of his time trying to learn martial arts and by the age of 20, he would get his first real test. 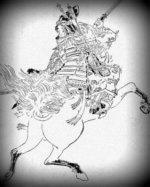 Ochiai Torazaemon was a famous warrior who Bokuden fearlessly challenged and defeated. Although these types of duels often ended with the looser dying, they were not necessarily fights to the death and Torazaemon had been allowed to live. Humiliated, he decided to ambush the younger samurai warrior who promptly made his name by killing his more experienced adversary. After being given special permission from his Daimyo, Bokuden went on a pilgrimage (Musha Shugyo) to seek out the best teachers to learn from and to challenge the best samurai warriors Japan had to offer. In total, he had thirty-seven duels against the best fighters around and set himself on the path to becoming a samurai legend by defeating all who stood before him. Once the pilgrimage was over, he went back to the service of his Daimyo and once again served in his army until, at the age of 37, he was allowed to settle down and open up his own Japanese samurai school called the Shinto Ryu. There, he put his unique abilities with a samurai sword to good use and developed his own style called the Single Cut Style. By the time the master had reached his 50s, he developed a way of thinking that while prevalent in world martial arts today, was way ahead of its time. He grew tired of constantly feeling the need to prove himself as he was already extremely confident in his abilities and he began to see the merit in avoiding conflict as opposed to having to constantly show himself to be the best. One story that would later be famously adapted by Bruce Lee for his kung fu movie Enter the Dragon, demonstrated Bokuden’s new found desire to find non-violent answers to dangerous situations. While travelling on a ferry, a young samurai began bullying and intimidating some of the other passengers, boasting of his fighting prowess and claiming to be the best in the country with a samurai sword. He continued to inform him that his school was called The Mutekatsu Ryu meaning ‘to defeat an enemy without hands’. The young samurai saw this as cowardice and demanded satisfaction so he told the boats-man to stop at an island so they could do battle there. On his retirement, Bokuden, a legend in his own lifetime, went to live in a mountain sanctuary where many young samurai came to learn from him. He later went on a second pilgrimage, this time only to teach rather than to challenge other samurai warriors to do battle. His most famous student during this time was the 17 year old Shogun Ashikaga Yoshiteru, who was lucky enough to learn martial arts from the master in 1552. 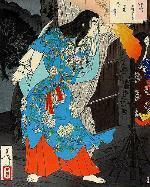 In 1571 at the age of 83, the great samurai legend Tsukahara Bokuden died. As that period was one of much civil strife, many of the best fighters of the time died young fighting in wars for their Daimyo and this resulted in many great schools, including the one founded by Bokuden, dying out. Though he lived in turbulent times, Tsukahara Bokuden managed to develop a peaceful philosophy and believed that it was better to avoid conflict altogether than to win a fight. Many great masters throughout subsequent martial arts history have echoed this believe showing Bokuden to be a forward thinking, legend of samurai history. Cook, H. 1993. 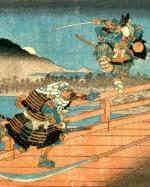 Samurai – The story of a warrior tradition. Blandford press. London. Renius, A. [Internet]. 2009. Sportstales. 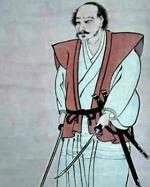 Tsukahara Bokuden: A Samurai Warrior Ahead of His Time. 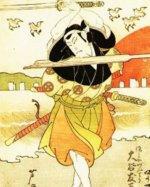 Available From: http://sportales.com/martial-arts/tsukahara-bokuden-a-samurai-warrior-ahead-of-his-time [Accessed 1 February, 2013]. The Samurai's Three Sons. [Internet]. 2012. Samurai Fitness. Available From: http://samuraifitnessmaine.wordpress.com/2012/07/01/the-samurais-three-sons/ [Accessed 1 February, 2013]. Turnbull, S. 2008. 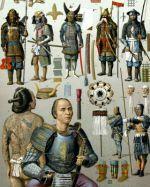 The Samurai Swordsman – Master of War. Tuttle Publishing. UK. Warner, G. & Sasamori, J. 1989. This is Kendo. Tuttle Publishing. UK.